I am a big fan of the show The Middle which is now in its final season. If you aren’t an avid watcher of the show, it features the Hecks—a scrappy family in “middle-America” Indiana that often doesn’t fit in with the neighbors or even with each other. Their personalities couldn’t be more different, but each family member brings a unique perspective that makes the family whole. The Hecks always stick together, even when their house is falling apart. Much like many companies that exhibit at trade shows, they are a small family in a big world with a tight budget. In fact, the Hecks’ budget is so strict that duct tape is a staple in their household for both the dishwasher and the washing machine. Exhibitors can often relate as they feel like a small company on the huge trade show floor and duct tape becomes a common item for overused exhibits. The Hecks don’t have a lot, but a big lesson to glean from the show is that it’s not necessarily what you have but what you have to offer, and who you have around you, that counts. Below is the Heck family and how they can help you with your event marketing strategy. Mike Heck is a flannel-wearing, hard-working, non-emotional husband and father. He works at a rock quarry, which is fitting as he has a very rough exterior. But, every now and then, you see the soft center of Mike Heck – like when the family learns Mike had a cat at the quarry named Limestone. In season 3, after the New Year’s holiday, Mike is assigned a resolution to smile more. So, when he goes to the bank, he decides to flash a smile at the teller, which results in his worst nightmare — being stuck in a 20-minute conversation with a stranger! An upset Mike wants to throw in the towel but soldiers on. He then learns the benefits of smiling when his wife, Frankie, is frantically driving to pick up their forgotten son Brick and a police officer pulls them over. Mike smiles at the lady officer, which speeds things up and gets them quickly back on their way. Hopefully, your booth staff’s worst nightmare is not to be stuck in a 20-minute conversation with a stranger — after all, that’s the whole point of a trade show! The lesson here is, even if your exhibit can’t compete with a larger company’s flashy displays, a smiling and attentive staff can go a long way to attract exhibitors to your booth. Frankie is an overworked, overtired and, at times, an underappreciated mom. She rarely cooks since their oven is used as quilt storage, and she does whatever she can to get out of volunteering for school functions. But in the end, she’s always there for her kids — sometimes to a fault. Frankie’s brain includes all her kids’ requests, appointments and schedules, so making room for her own thoughts is a fruitless effort. Frankie’s mind is a chaotic mess; at one point she even thinks her car is stolen, when in fact, she just lost it. Her life is made more chaotic by the fact that she can’t find anything and nothing is organized. In order to combat this, Frankie establishes office hours with her kids in order to keep her brain free from to-do lists throughout the day. Her plan worked for a while, but as usual, everything fell apart and she was back to forgetting the lyrics to her favorite song. While it didn’t work for Frankie, office hours are a great tool for success in your work life. When planning for a trade show, set aside some uninterrupted time every day or week to plan for it so you can make certain you aren’t missing anything. There are a lot of things to think about when exhibiting and missed deadlines can be costly. You can also apply this on the show floor. Encourage as many attendees as you can to make an appointment before the show. Not only do appointments protect against awkward empty booth times, but consistently having people at your booth also attracts other attendees by piquing curiosity. Of course, even if you are organized and prepared, things can still go wrong. Axl, the oldest son of Frankie and Mike, is the epitome of a teenage slacker not living up to his potential. He’s a charming and popular sports star, but when it comes to schoolwork, he’s “Mr. Last Minute.” Axl, however, proves the age-old saying “it’s not what you know, it’s who you know." In one episode, Axl’s younger sister, Sue, ends up paired with Axl for a school project. Sue is a Type A personality and is always prepared, so being stuck with Axl the slacker is challenging to say the least. After weeks of nagging Axl to help, Sue does the whole project herself; but on the day of the project, she notices she grabbed the wrong bag and didn’t have anything they needed for their presentation. Axl springs into action and uses his many connections with the band, the cafeteria lady and the art students to pull off a last-minute school project that blows everyone away – including Sue – and they get an A+. 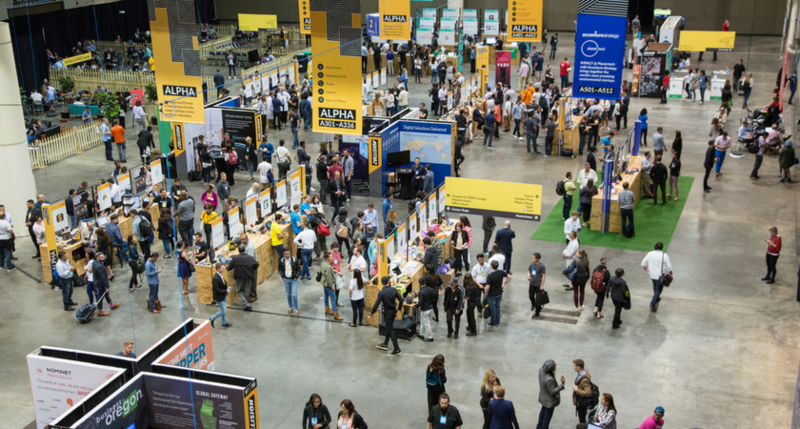 Events are great for making connections and networking is one of the top reasons companies attend live events. Making deep connections is crucial, as you never know when you’ll need them in work or in life. Plus, word of mouth is one of the most effective forms of marketing, so the wider network you have, the more word will spread if you have a new product or service to offer. Sue is the middle child and is awkward, honest and lovable, but she’s often invisible in the world: teachers forget her name; she’s not included in the yearbook, and she tries out for all the extracurriculars, but never makes them (unless there’s a no-cut rule). Her persistence and positivity are inspiring – but perhaps what is most inspiring is her ability to embrace who she is. Sue was never the most popular, but that never stopped her from wanting to help others and continuing to dress in her own wacky style. As it turns out, being herself made a big impression. In her senior year, after finding out she is graduating with no honor cords, she loses her copy of her yearbook before graduation. Defeated, she sadly goes to graduation as her yearbook circles through the crowd and ends up back in her hands. She opens the yearbook to find a flood of signatures and messages on how she inspired everyone around her. She wasn’t invisible after all, and all her classmates took notice of her kind, positive and persistent nature. The lesson here is, as a company or brand, it’s important to know who you are and embrace it. Especially as a smaller company, it’s tempting to try and imitate the bigger ones, but it’s more important to never go against your brand. You may feel invisible, but you never know who is watching and admiring you. The same can be said for booth staff. Bring staff that are comfortable speaking with people and know your product or solution inside and out. Don’t make booth staff be someone they aren’t. In the book “Captivate: The Science of Succeeding with People,” Vanessa Van Edwards reveals that the habit that tends to annoy people the most is when people are fake. Be you and your customers will thank you for it. Brick is the youngest child and is often the “forgotten one” in the Heck household. With many forgotten birthdays, he’s last on greeting cards, last in the family “Hecking” order, and has to use a lawn chair at the dinner table for most of the series. Brick always has his nose in a book and he often fixates on subjects so intensely that he becomes an annoyance to his family. However, his immense knowledge has come in handy — like when a bear attacks the Hecks in the car while camping, or when they enter a trivia contest to try and win Frankie a trip for Mother’s Day. Doing your research can often save you and your company from a lot of heartaches. Before registering for an event, make sure the event is a good fit for your company. Research who goes to the show, if your competitors go there, and if it will be worth your time and investment. Once you decide a show is a good fit, the research doesn’t stop there! 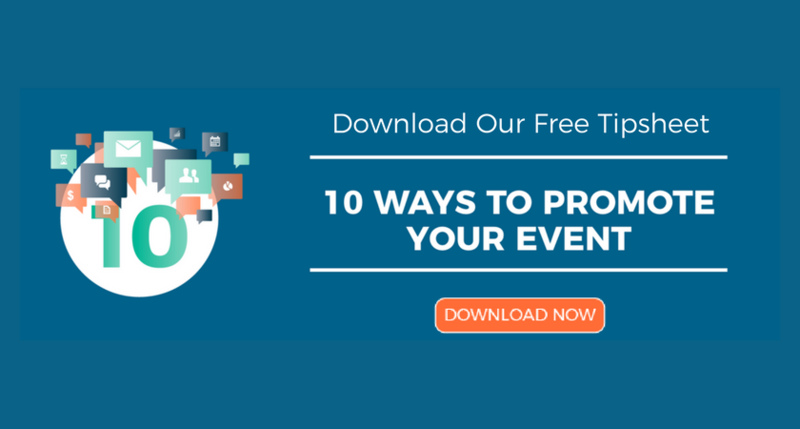 If you’re new to the trade show world, then researching pre-show marketing tactics, how to get exhibitors to your booth, and different tools and services are essential for getting the most ROI out of an event. But, warning: sometimes you just have to jump in and learn on the fly! As Mike often tells Brick, not everything can be learned from a book. Most of The Middle’s charm comes from its simplicity. It’s that simplicity that makes it so relatable and easy to apply to other areas of life. I’ve got my tissues ready. Caterina Lui is a senior customer content specialist for Virtual Press Office, PR Newswire’s trade show marketing solutions division. VPO helps global event professionals, exhibitors and trade show marketing managers reach their goals through news distribution, measurement and online press kit creation. Follow Caterina at @VPOEventZone, our Twitter channel dedicated to the trade show industry.